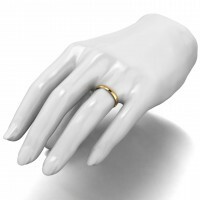 9ct Yellow Gold 3mm Light Weight "D Shape" Wedding Band. Our lavish wedding band range is the perfect way to say I DO. This stylish range has something to fit every style, budget and taste. At incredibly competitive prices, this range can come in many kinds of designs and metals. This is our 9ct yellow gold "D Shape" shaped wedding band. It is considered to be light weight and has a 3mm width. All of our wedding bands are fully hallmarked at the Birmingham Assay Office. FREE RESIZE WITHIN THIS TIME PERIOD INCLUDED. Option of engraving and stone setting at competitive prices. 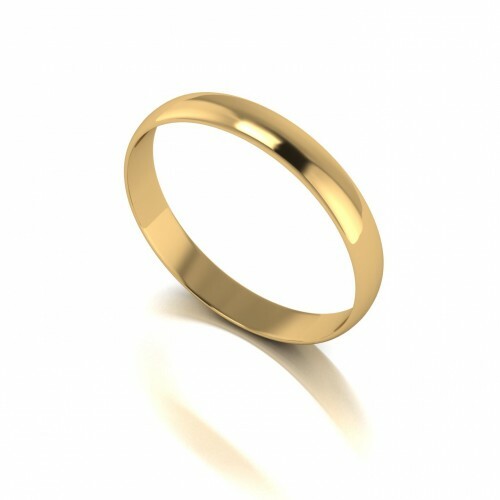 9ct Yellow Gold 3mm Light Weight Flat Court Wedding Band. Our lavish wedding band range is the perfect way to say I DO. This stylish range has something..